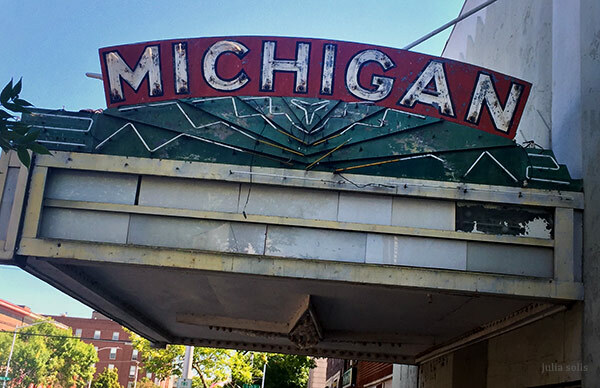 A sweet neon sign on the Michigan Theater in Escanaba – located on Michigan’s Upper Peninsula, it must have gone through some pretty rough winters. 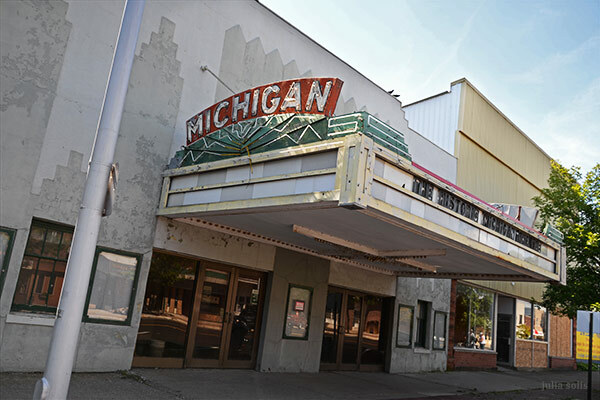 The theater opened in 1930 and, like many other businesses in this little waterfront town, it’s currently for sale. 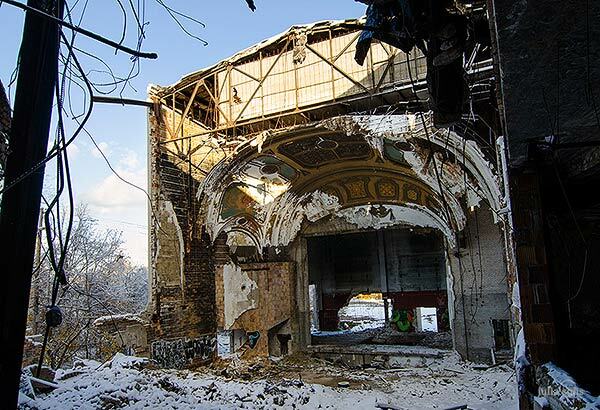 After visiting the Eastown Theater in Detroit many times with great awe and wonder since 2007, the fun came to an end in November. Having withstood hoards of scavengers over the years, the final remains of the Eastown came down at last in a giant pile of plaster and rebar. 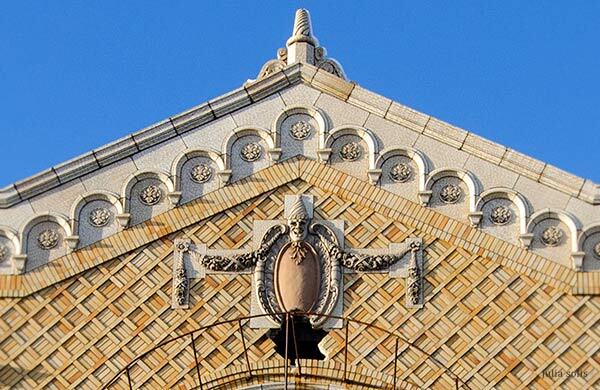 The roof had collapsed earlier that year and the glamorous venue had already been stripped to the bones. I’m very sad to see it go. 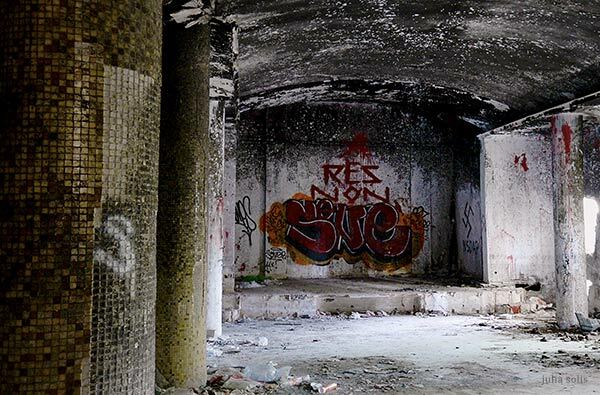 The last trip, just a couple of days before its demolition, was as surreal as always in this beautiful and fucked-up ruin. Here are a few last photos – more to follow. 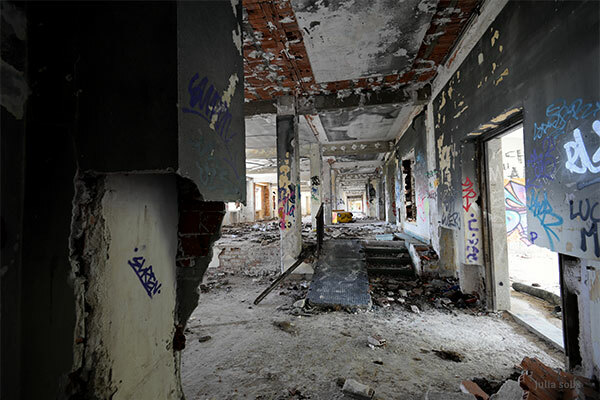 Inside a gutted tuberculosis hospital in southern Spain, the auditorium has been stripped to concrete and a few remnants of tile. 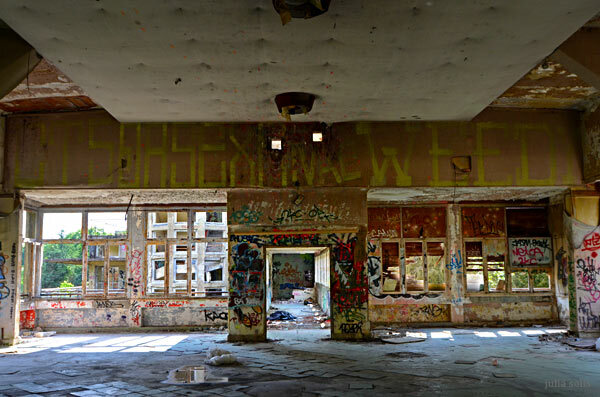 Now a mere skeleton lurking in the beautiful countryside, the modern hospital building has even repelled the usual invasion of plants and animals so far. 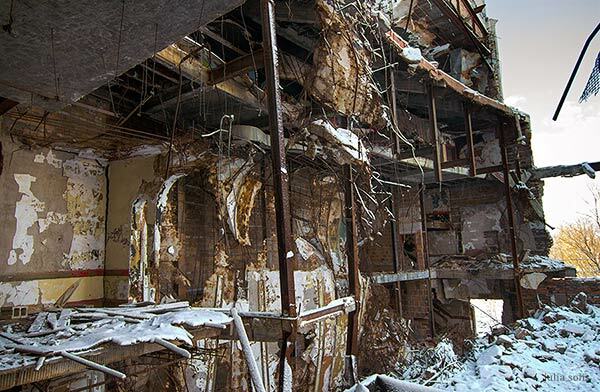 Trashed, wrecked and burned, it’s hard to imagine this theater was ever a pleasant place for patients to spend time in… at least before it was abandoned. 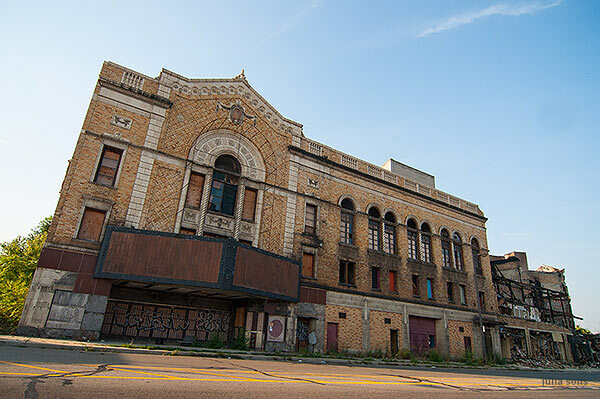 Vacant for over 20 years, there are still no plans for demolition or reuse – good news for satanists and ghost hunters in the area, who have made this a predictable destination to let their imagination shrivel towards swastikas and the usual hauntings of tortured patients. 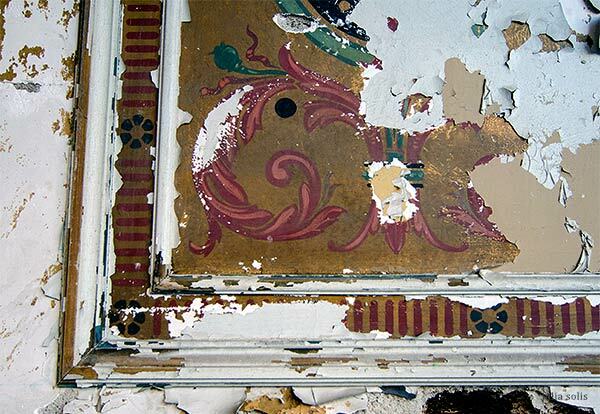 More photos of the lost Fairmont Theater are here. 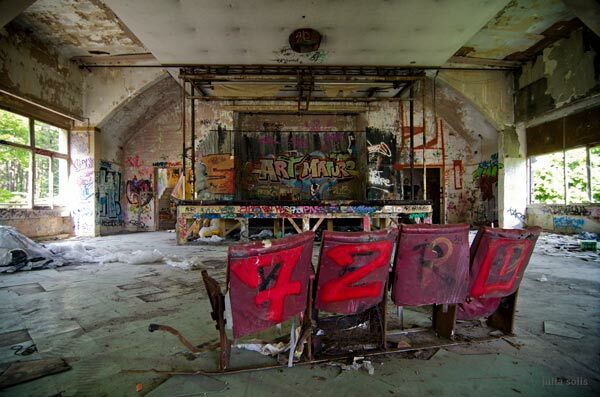 An unexpected discovery during my recent trip to France: a semi-abandoned sanatorium in the woods, featuring two nearly identical theaters on either end. 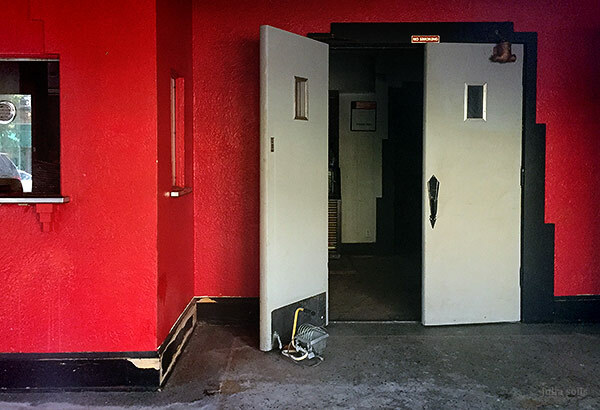 The one shown here has obviously seen a lot of traffic since its closure; I’m told it has been hosting raves and secret performances for well over a decade. 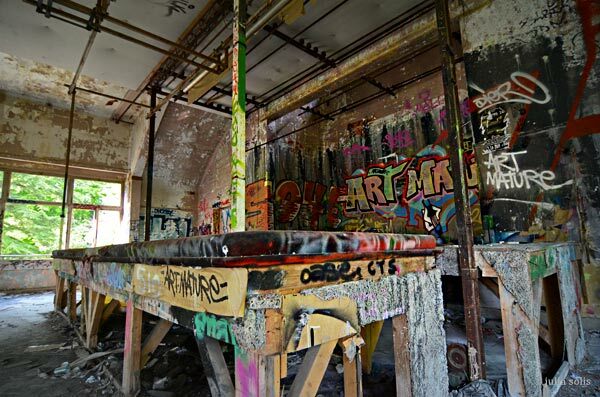 A little surprising, since the active part of the hospital complex is visible through the auditorium windows, but we all know a bit of guerrilla theater does wonders for one’s mental constitution. 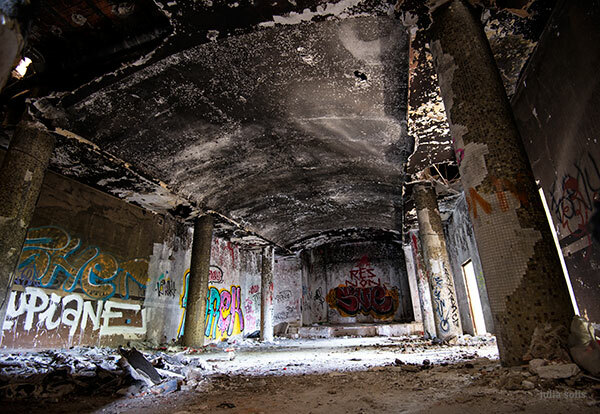 The concrete building from the 1930s seems pretty indestructible, although some visitors have clearly tried. 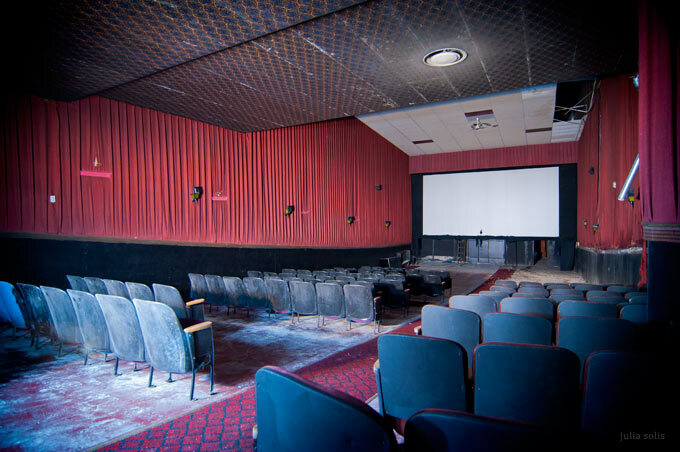 Fast Company has published a slideshow of “Captivating Photos of America’s Abandoned Theaters”. Also thanks to Design Taxi, BauNetz, Jared Leto, and Gizmodo for their nice coverage of the book! 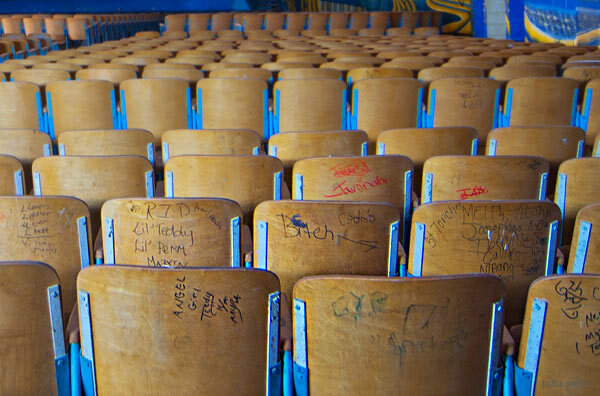 Above: Auditorium seats at the since-demolished JFK School in New Orleans. 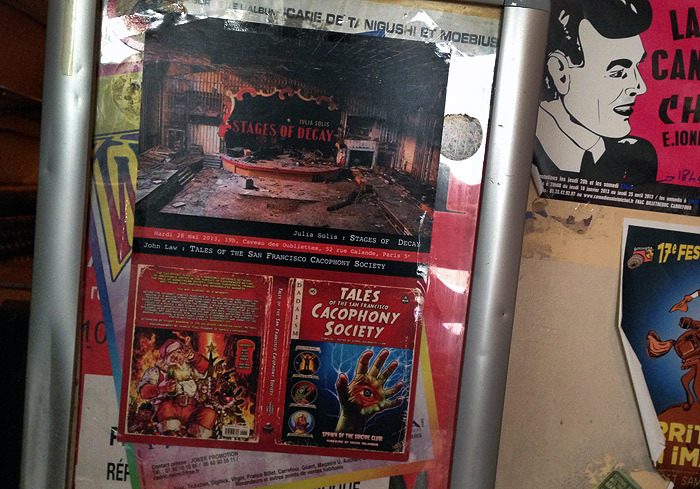 Le Caveau des Oubliettes in Paris is hosting a presentation of Stages of Decay along with a slideshow by John Law for his book Tales from the Cacophony Society. John and I will be around to tell stories and answer questions. May 28 at 7 p.m., 52 rue Galandes, Paris 5th. Many thanks to Marc and Lazar from Urban Resources for arranging this event! © 2019 Stages of Decay.